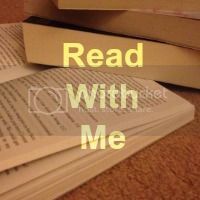 Hey there readers, welcome to this weeks Read With me. I hope you've all had time to settle down with a good book. Last week I managed to read quite a few books but in a way I felt I cheated. I was reading the Songs Of Submission series by C.D Reiss which consists of 7 books (plus another 2 if you want to read the short stories). However each book was only around 150 pages long so not as long as a typical novel usually is. These books did impress me though. Typically shorter books tend to not interest me as I feel they are rushed, details left out, left wanting more from the story but Reiss managed to reel me in. I found myself picking each book in quick concession as I'd been left needing to know what happened next ASAP. If you were a fan of fifty shades or even if you weren't I'd highly recommend this series as it was 100% better!! My favourite post that was linked up last week was from Parenthood Highs and Lows, she reviewed Zip It, a fab book for children filled with all sorts of fastenings for them to fiddle with, is it wrong that I want it for myself? Onto this weeks link up. If you are new to Read With Me, take a look here to see what it is all about. Regular? Get linking, commenting and hopefully displaying my badge. Chantelle there seems to be a problem with no 9 in the link up it just links back to this page. Thanks for hosting Chantelle - I had technical issues when posting - 15, 16 and 17 are dups that should be deleted - also thanks Sandra for letting me know about #9, I just posted the correct link - bad night for linking, but great books and reviews - please stop by and REALLY SORRY for the inconvenience! Thanks for the party this week but unfortunately I won't have a post written up until next week! I will look and visit some of the book listed this week.